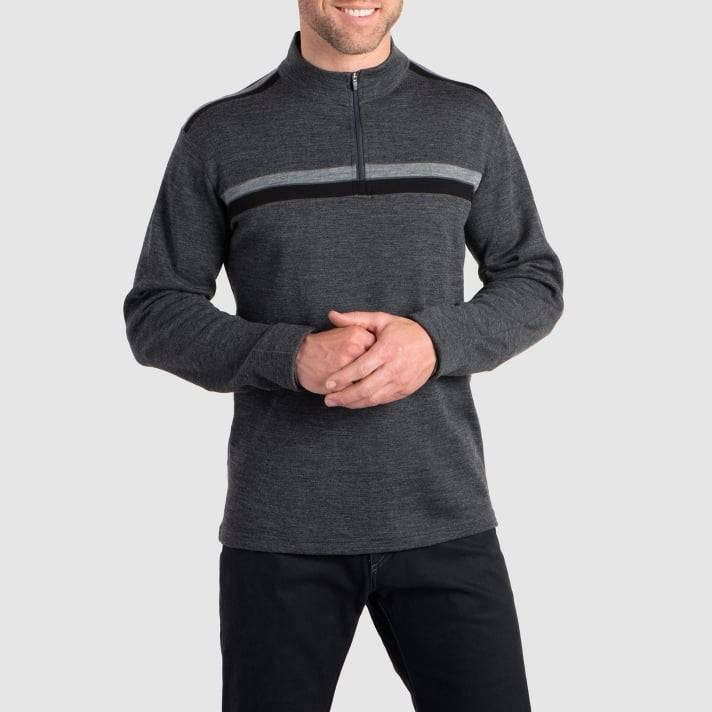 The KÜHL DOWNHILL RACR™ SWEATER features 100% washable Merino Wool to provide body temperature regulated warmth and “no itch” comfort. Wool is naturally wicking and odor fighting, making it one of nature’s ideal performance materials. 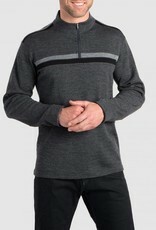 A unique three-stripe design in a tight Ponte knit creates extra durability. The ¼ zip provides ventilation and features a YKK zipper with KÜHL custom pull. Sewn with DYNAMIK™ stitching for more stretch and strength than traditional flatlock, low bulk seams make layering comfortable and easy. KÜHL's articulated 5-panel sleeves provide better range of motion. Ideal for sport, travel and après-ski.